Marys River Watershed Council offers several outdoor education programs for area schools, providing hands-on, place-based lessons in watershed science and ecology. Each year we host more than 750 children at various sites around Marys River watershed, engaging kids in hands-on restoration activity. 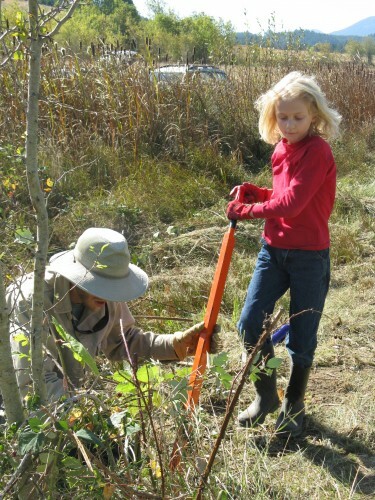 Many of our programs are based on lands owned or managed by Greenbelt Land Trust, and lessons are co-taught by Institute for Applied Ecology and Benton Soil and Water Conservation District. Above, a student is learning to use a weed wrench to remove invasive Himalayan blackberry. We wouldn’t be able to make this program happen without many incredible volunteers!